Occipital is offering a way to enjoy 3-D scans of the environment in seconds. Basically, they are saying to creatives, plug in 3-D perception. The rest is up to you. Structure Core is introduced as a depth sensor for devices that need spatial awareness: robots, drones, AR/VR headsets—and, who knows, "new devices that are yet to be invented," they said. The company said its Structure Core is their most advanced depth sensor. Structure Core has dual global shutter IR cameras, high-contrast laser projector, built-in IMU and a choice between a 165° wide vision visible spectrum camera or an 85° color camera. On Thursday, Scott Stein in CNET said the payoff, for creators, is having a self-contained component that could let them build their own solutions fast. IEEE Spectrum cut to the chase. The news is that this is "Depth sensing and 6-DoF spatial awareness for $400." Don't worry about support lockouts, as Structure Core has support for multiple platforms including Linux and Windows. In the bigger picture, Occipital is leaning-in to an observation about how we think spatially, not just some of the time but all the time. "We are spatial creatures," a video reminds us. How big is it? How close is it? Obstacle or not? What's its shape? Is it moving? Can I grasp it? Next Reality saw the exciting part of this Structure Core Sensor as able to give any device the spatial mapping powers of a HoloLens. They quoted Occipital's CEO, Jeff Powers. "Structure Core basically makes it possible to bolt spatial awareness into any project." It has everything built in. The company said that "Structure Core takes Structure SDK's industry-leading depth processing to a wider array of devices and platforms than ever before." 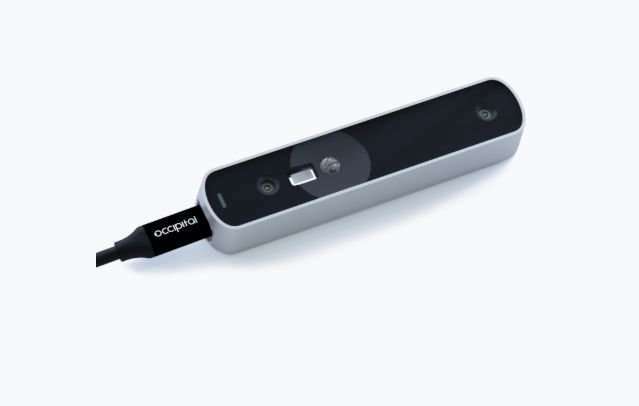 Let's not forget that Occipital is the company that brought us Structure Sensor. "Five years ago we introduced Structure Sensor," said Powers. This made spatial -structure something you could just latch on to an iPad. But that was just it—it was designed to work with the iPad. And there was a world of applications beyond the tablet—waiting for Occipital's whiteboard jottings to come to life. So, the wait is over. The Structure Sensor platform attracted a developer community that created apps for the Structure Sensor. The company said "the Structure platform has radically changed how work gets done in industries ranging from architecture to medicine to visual effects." What does this new product bring to the table? Tommy Palladino in Next Reality wrote that "the Structure Sensor, gave iPhones and iPads the depth-sensing abilities of the HoloLens. Now, the company's latest product promises to do the same for Android devices, as well as augmented reality and virtual reality headsets and other devices."